AWS CloudFront is a Content Delivery Network that shortens the time required to access your website. Atomic deployments are the first in the series of pipeline templates that we introduced to Buddy. In short, they allow you to update your website with zero downtime by uploading the files a cache directory on the server and switching the symlink of the web server to the new version when everything’s finished. Recently we’ve modified the template by adding a feature that lets you define how many website versions you want to keep on the server. We’re excited to announce that private repositories are now supported by BuddyWorks! The most popular pipeline feature in Buddy is code delivery. 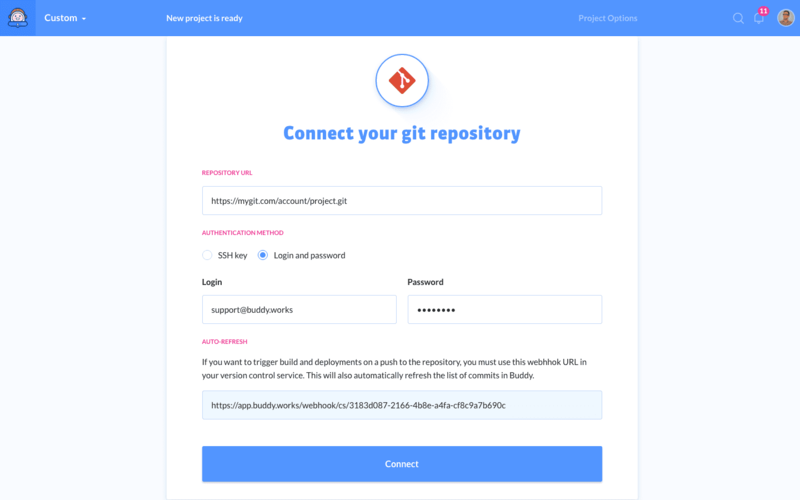 You can use one of the many integrations to deploy your code – such as Elastic Beanstalk, Amazon S3, Rackspace, Google Cloud Storage or Microsoft Azure – or stick to the standard SFTP/SCP protocols, or even the good ol’ FTP. Deployment tools such as Capistrano may be used as well, with Rsync joining the party in the latest release. Rsync is a great tool which allows you to sync files between different locations. It checks the files and uploads only those that were changed. Until now you could only use Rsync by defining custom upload scripts in build actions at the end of the actual build commands. In response to high popularity of this action, we’ve decided to add a dedicated action for Rsync. All you need to do is provide the server details and the path where the files will be uploaded, and Buddy will handle the rest for you. Delete extraneous files: when a file is deleted in the pipeline filesystem, it will also be deleted on the host. 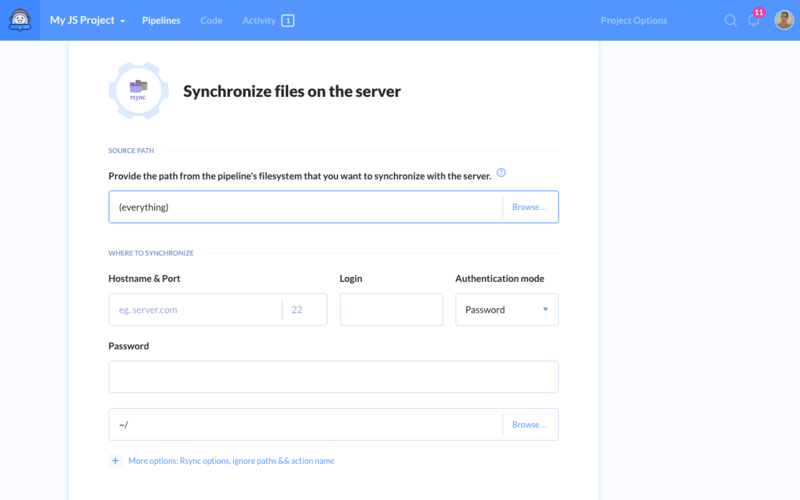 If you’d like to learn more about Rsync and introduce it to your workflow, just let us know at the chat at the bottom right corner, or drop a word to support@buddy.works. Once we started working on the Sandboxes it soon occured that it will bring a number of new UI elements that may disturb the delicate balance between the aesthetics and usability. Ever since Buddy was conceived we wanted to deliver a service that could be installed on-premises: there are many companies who cannot use a cloud solution and would rather keep stuff in-house, usually because of regulations regarding code storage. After one year of testing, we have decided to shut down the beta of Sandboxes. Using the feedback that we gathered, we are currently working on a new and improved version of the test environment feature. Make sure to follow us on Twitter for news and updates on the release date. passwords that need to be remembered. deployments that must be defined. At the end, you have to remember what’s still in use and where, what’s alive and what’s a zombie—and you end up in a little sysadmin’s nightmare. In response to popular demand we have added Cloudflare CDN support to Buddy. Cloudflare is one of the most popular Content Delivery Networks in the world, along with AWS Cloudfront. In short, it’s a global cache: when a user opens the website, the files are served from the closest server location which drastically speeds up the loading time.